Another of the L.A. area's promising young e-commerce companies, Etoys, has decided to go public. As the L.A. City Council debated over three different proposals to cut business taxes last week, a tangential issue with a potentially even bigger financial impact was all but ignored. Dr. Rodney D. Ayl spends about an hour on initial consultations with cancer patients and their loved ones. There's a storefront on Seventh Street in downtown San Pedro where the T-shirts on display are emblazoned with "Longies Only" and "ILWU," monikers of the International Longshore and Warehouse Union. Don't bother calling Nature Encounters Ltd. if your idea of a dream vacation is shopping along the Champs Elysees in Paris or basking on the shores of Waikiki. Deborah La Franchi isn't just the highest-ranking twentysomething in Mayor Richard Riordan's youth-oriented administration, she's also sitting in one of the administration's most pressure-packed positions. A year ago, property managers seemed to be in trouble. Real estate investment trusts were taking a huge bite out of their business as they bought up prime properties and brought in their own in-house management teams. It's been said that TV programming is nothing more than the filler between commercials, but that's becoming less and less accurate. In the future, the program will be the commercial. In the Feb. 15 story on television awards, the date that CBS will broadcast the 33rd annual Academy of Country Music Awards was misstated. The correct air date is May 5. *The first European to set eyes on San Pedro harbor was Spanish explorer Juan Rodriguez Barillo in 1542. The U.S. Postal Service has long boasted that neither rain nor sleet nor dead of night will deter the mail. Neither will slow modems or bandwidth problems, if a Santa Monica start-up has anything to say about it. After spending years trying to keep Hollywood out of the country, China is sending a delegation to the annual American Film Market this week to woo U.S. filmmakers and bankers. You don't need much or any down-payment cash. And you may not need the sort of credit history, complete with bank account balances and credit cards, that traditional homebuyers typically have to show to get a mortgage. It's only one song just a couple of minutes worth of music. But that solitary tune is also a quiet battle cry from DreamWorks Records. In Elia Kazan's 1954 classic film "On the Waterfront," one of the dockworkers says to the sympathetic priest portrayed by Karl Malden: "It's different here on the waterfront, father. It's not like the rest of America." When Joseph N. Miniace became head of the Pacific Maritime Association two and a half years ago, one of his main goals was to shake up what he saw as decades of complacency on the waterfront. Venture capitalists usually just supply companies with financing, but they supplied El Segundo-based Classroom Connect with a new CEO. Any discussion of the L.A. economy invariably includes the importance of international trade and with it, the importance of the ports of Los Angeles and Long Beach. And yet, the waterfront is among the least reported areas of Southern California. The L.A. City Council has just two weeks to analyze, comprehend and approve not just one but two hugely complex policy issues that will help shape the city for decades to come. A National Football League expansion committee was said to have spent most of its private meeting last week trying to formalize a recommendation favoring Los Angeles over Houston for a new NFL team. When a major client filed for bankruptcy in July 1998, Michael Baird, president of Unicare, a Cleveland-based medical billing services company, felt like he was blindsided by a potentially lethal blow. Last year came in with a bang and ended with a whimper for giant real estate services firm CB Richard Ellis Inc.
After years of being notoriously ambivalent about the Internet market, News Corp. finally was galvanized into action last week thanks primarily to Rupert Murdoch's youngest son, James. CBS, the perennial also-ran network that for years has been running dead last among the Big Three, suddenly finds itself the top-rated network in the country in terms of viewers. Picture a seaport where burly longshoremen are replaced by eerily unflagging machines. Imagine vehicles maneuvering around terminals without drivers, and computers that don't need human hands to enter data. The Internet blazed last week with rumors that Walt Disney Co. was in talks to acquire Pixar Animation Studios and possibly even Apple Computer in a massive, multibillion-dollar stock swap. The developer of the new Staples Center arena downtown is moving forward with its plan to build a major entertainment district on 25 acres surrounding the arena. Once the hype and ballyhoo subsides over George Clooney's departure from NBC's "ER," how will prime time's No. 1 drama be affected by the loss of TV's leading leading man? It's almost getting to be a weekly phenomenon: Another property is in escrow in the hot Hollywood market. In a profile in the Feb. 8 issue, Jerry West was incorrectly identified as holding two titles with the Los Angeles Lakers. His correct title is executive vice president of basketball operations. The Air Force shot down major contracts with TRW Inc. and Boeing Co. to design a new early warning system to track ballistic missiles. What's it like to have a tiger by the tail? Just ask the shareholders of Ticketmaster Online-CitySearch Inc.
On Feb. 26, NBC broadcasts the 15th annual Soap Opera Digest Awards. On April 22, CBS airs the 33rd annual Academy of Country Music Awards. This summer, Fox rolls out "The Teen Awards." When L.A. Mayor Richard Riordan unveiled his plan for business tax reform late last year, he brushed off the prospect of any resistance from the City Council. 25 YEARS AGO THIS WEEK: Ford Motor Co. announced it would lay off 2,100 workers at its Pico Rivera plant as the car maker continued its move away from the large models and toward smaller cars Lockheed Aircraft Corp. in Burbank reported net income of $16. Glendale, for years one of the most ardent pro-growth local cities, is poised for a dramatic shift toward slow growth. Salvadoran supermarket chain La Tapachulteca is finding a ready market of immigrants willing to pay a premium price for brands and products native to their homeland. Have you been leasing new cars instead of buying them because leases are so cheap, cheap, cheap? So is nearly one-third of everyone else on wheels. When Don Lumpkin first joined executive recruiting firm HRCS, it was supposed to be a 30-day assignment. An independent consultant at the time, Lumpkin had been hired to help make the company more profitable and retool its operations. At the Catalina Bar & Grill in Hollywood last week, legendary harmonica player Toots Thielemans was playing a sweet rendition of "When Somebody Needs You" with jazz pianist Kenny Werner. Recently, when a neighborhood shopping center went up for sale in Northridge, more than 20 bidders came to the table. The words are on the lips of everyone these days sexual harassment. Employers now more than ever are asking, "How do we know if sexual harassment has occurred, and if it has, how do we make it go away without being sued?" It may not be as flashy or high-tech as some of L.A.'s more well-known public companies, but Torrance-based Edelbrock Corp. is a survivor. Jeffrey Sudikoff had what it takes insatiable drive, an ability to see business possibilities where others saw none, and smarts to spare. 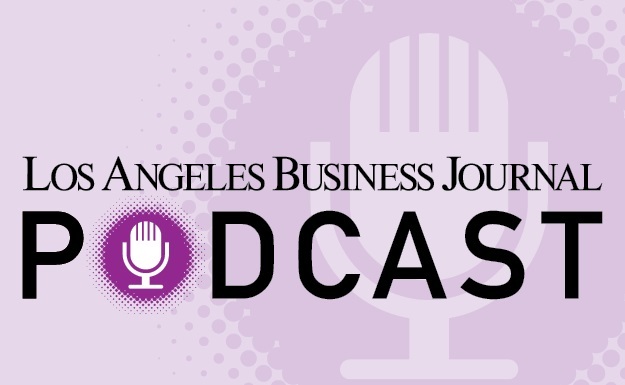 Starting this month, Angelenos are getting a double dose of business hours from L.A.'s all-news radio stations: KNX-AM 1070 and KFWB-AM 980. The two stations are owned by CBS-Infinity Radio. When Eric Tarloff wrote "Face Time," a tale about a philandering president of the United States and a young female staffer, readers wanted to know if it was an inside look at Bill Clinton. Long Beach's newfound success as a tourism and retail hotspot is starting to bear fruit. Hoping to enhance its bid to host the 2000 Grammy Awards, Staples Center officials have shelled out $100,000 to be title sponsor of the 1999 L.A. Grammy Host Committee. Paul McBlaine has joined Arthur Andersen LLP as a senior manager in the business consulting practice for health care clients. Prior to joining, McBlaine was a practice director of benefits realization for Cerner Corp.
For the first time in at least five years, Los Angeles County has emerged as the venture capital champion of Southern California, far outstripping Orange and San Diego counties. L.A. merchants said those are just a handful of the popular items that drove what is becoming a recurring retail phenomenon January sales mania. Douglas Young's story fails to grasp the larger trade picture here in the Los Angeles region. If there's a nasty, high-profile employment dispute involving a major company, odds are good that Paul Grossman won't be far from the action. Even as she rigidly stood on stage at the Metropolitan Opera School of Ballet, Judianna Makovsky knew she was on the wrong side of the proscenium arch. As a federal prosecutor in L.A., Gordon Greenberg won the conviction in 1988 of Barry Minkow in the ZZZZ Best carpet-cleaning scam, one of the largest fraud cases ever tried on the West Coast. Debra E. Pole is right in the middle of the ongoing legal battle concerning silicone breast implants. Critics say that's the message behind a projected shortfall in the number of signatures collected to force an economic study of the split the first step in a protracted and politically charged process that could extend into 2002. L.A. is moving closer to locking up the 2000 Democratic convention, as the major concerns expressed by Democratic National Committee negotiators appear to have been resolved. Fifty years in practice have helped Sorrell Trope build a booming celebrity divorce business that has attracted clients like Roseanne Barr, Rod Steiger and Kelly LeBrock. Thomas Lambert prides himself on litigating a wide variety of cases, from securities fraud to probate. More often than not, he wins. When Barbara Reeves' grandfather emigrated from Germany to the United States at the start of this century, he learned everything he could about the American constitution. "He was so impressed by it all," recalls Reeves. Gordon Krischer figures that all of society's problems get played out in the workplace. "Chemical exposure, sexual harassment, contingent workers I have been fortunate to work on some very significant cases," he said. Geoffrey Thomas seldom works on more than one case a year usually because the media trials he handles are usually so complex that they require a huge investment of time and preparation. El Segundo-based Computer Sciences Corp. said it has agreed to acquire 51 percent of CSA Holdings Ltd., one of the largest information technology service companies in Asia. The L.A. area's jobs-housing balance, while still out of whack, is expected to improve dramatically this year, according to a new report. When Dustin Hoffman successfully sued Los Angeles magazine for slipping his computer-generated likeness into an evening gown and high heels, the story made headlines around the world. In the hours immediately following GeoCities' Jan. 28 announcement that it would be acquired by Yahoo!, L.A.'s tech community vibrated with speculation about what would happen next. Commercial property owners scored a huge victory a couple of years ago, thanks to attorney Patrick Breen. Because of his lawyering, tenants cannot get out of their leases just because a building goes into foreclosure. There are lawyers, and then there are trial lawyers. Pete Williams is definitely one of the latter. If the U.S. Senate follows a recommendation made by President Clinton in December, Alejandro Mayorkas will be the new U.S. Attorney in Los Angeles, making him the top prosecutor for the largest federal judicial district in the nation. When actor Michael Douglas and media mogul Rupert Murdoch needed a divorce lawyer, they turned to Robert S. Kaufman, whose opponents call him one of the most relentless, creative trial attorneys in L.A.
Next month, business owners in Santa Monica are going to get letters from the city that many of them aren't expecting and that they won't like one bit. When Los Angeles native Walter Lack first saw Spencer Tracy and Gregory Peck portraying impressive trial lawyers on the silver screen, he knew he wanted to be an attorney. Ralph Nader calls William Shernoff "the man who has rattled more non-paying insurance companies than anyone else in the country." Shernoff is, in fact, a pioneer in the field of bad-faith insurance litigation. Better think again. That romantic missive might be retrieved by your boss and seen as a strike against your productivity. Or even worse, it could become part of a court case in which you are accused of e-harassment. Daniel Davis does not practice law in order to settle cases out of court. The 52 year-old Texas native wants to go to trial and, of course, win. Photographer Gary Leonard likes to show people his 1969 class picture as an example of what can happen when you break the rules. In Disney's view, it was a Mickey Mouse deal that did not deserve serious attention. The entertainment giant had agreed to turn the cartoon character Marsupilami, already a hit in Europe, into a full-fledged international star. Donald M. Re represents a steady stream of L.A.'s most notorious defendants and he does it without the trappings of a large practice. In fact, Re works by himself. Morgan Chu is one of the nation's foremost litigators in intellectual property cases, but he hardly started off on the career track. In fact, Chu dropped out of high school at 15 to hitchhike around the country. He almost didn't go to college. In the past three years, she has had numerous convictions, including a number of lawyers, in insurance fraud cases involving staged car accidents and faked injuries. The biggest drawback to being ahead of one's time is having to wait for the rest of the world to catch up as Mark Waldrep and his DVD production company AIX Media Group can attest. For Joseph Coyne, litigation is war and it's a kick. "I enjoy the give and take. There's a saying that it's the closest thing you can get to warfare in a modern society," he said. Maxwell Blecher never thought he would become one of the country's top antitrust attorneys when he attended USC Law School in the mid-1950s. Back then, he just wanted to take an early-morning class and have enough time to get to his part-time job by noon. You hear it over and over again, a steady drumbeat on the brain. Social Security gives you a puny return on your money. Your return would be miles higher, if you could invest your payroll taxes in stocks. Brian Hennigan recognizes the trauma of being under investigation for a white-collar crime. "It is a big turning point in the lives of these people, and it is very important to see that their cases get resolved," he said. West Hollywood placed its bet last week on the city's long-blighted east side. It bet upscale. L.A. courtroom battles unfailingly capture the public's curiosity, whether it's a "trial of the century" as in the O.J. Simpson case, or a simple traffic violation involving Zsa Zsa Gabor and a Beverly Hills cop. Frank Rothman represents two of the nation's three most prominent professional sports leagues against two of their most notorious figures. Former ACLU legal director Paul Hoffman is working on what he considers the most significant human rights case now taking place a class-action suit filed by refugees claiming torture and forced labor on an oil pipeline in Burma. While her own marriage has lasted for 35 years, Arlene Colman-Schwimmer has made a name for herself representing high-profile Hollywood clients in divorce cases. Some big names from L.A.'s business past, the collapse of a local publicly held company, and plot twists worthy of a Tom Wolfe novel that in a nutshell is what's going on in U.S. Bankruptcy Court in Houston. L.A. has had its share of great trials over the years and along with them, great trial lawyers. In fact, some of them have become bona fide celebrities, like Johnnie Cochran, Leslie Abramson, Daniel Petrocelli and Bert Fields. You know a lawyer is well regarded when other lawyers pick him to defend them in court. Though just 38 years old, Paul Kiesel is widely considered to be one of the top personal injury attorneys in California. Last September, California Business Law named him as one of the state's "100 Most Influential Attorneys." Probably best known for heading the team of lawyers that won the O.J. Simpson wrongful death civil lawsuit, Petrocelli represents a large variety of clients and has tried a diverse group of cases. The council voted last week to create a task force to review a possible takeover of the debt-plagued agency, which faces a $40 million shortfall over five years due to uncollectable loans and loss of revenue because of declining real estate values. For the first time in 13 years, the Los Angeles International Airport's largest concession contract to run LAX's 12 duty-free shops has been put up for bid. For more than a decade, Verdia Daniels has emptied bedpans, washed clothes and offered companionship to homebound disabled and elderly patients all at minimum wage and with no benefits. Local Internet executives may be making millions of dollars overnight, but for the rest of L.A.'s population, making and saving money is tough. Savvy entrepreneurs deal with tax planning and strategy year-round, not just during March and April. Perkowitz + Ruth Architects Inc. has named five employees to executive positions at the firm. Peter Paszterko, design manager, becomes a senior associate. Those named associates are Don Grainger Yong Heng, Keith Mericle, and Vasilis Papadatos. Edison International has essentially abandoned the newly deregulated power market, choosing instead to focus on selling ancillary services like security systems and appliance warranties. A tenacious bug about the size of a kernel of rice has launched what farmers fear may be the start of a major offensive that threatens Ventura County's $143 million-a-year strawberry crop. When someone tries to rip off the Rolling Stones' trademark lips, Russell J. Frackman gets a call from the record label. Los Angeles County officials are considering a plan to lease beds and services from two private hospitals as a way to ease demand on whatever facility eventually replaces the aging L.A. County-USC Medical Center east of downtown. What is the maximum amount that patients should be compensated to cover pain and suffering as a result of medical malpractice? Avi Cohen didn't hesitate when a friend suggested they start a bed linens business. The numbers say crime is down, way down, throughout L.A. In some areas, violent crime and theft have plunged to levels not seen in decades. Question: I read recently that one of the online trading companies was starting up an online finance division. Do you think that this might be a viable way for small, growing businesses to go public? To make it in show business, the saying goes, you need two things: a gimmick and a little hocus-pocus. J.H. Snyder Co. has filed a breach of contract suit against its financial partners in a deal to develop an office complex in Burbank, a move that could place the giant development in jeopardy. The L.A. hotel industry had a strong year in 1998, with the average cost of a room increasing 10 percent even though occupancy rates held steady. If radio audiences aren't growing, how come advertisers keep pouring money into radio? With a cup of coffee, she usually sits on her porch for more than an hour beginning at 6:30 a.m., sipping and waving at children walking by on their way to Weemes Elementary School, near USC. Twentieth Century Fox and "X-Files" producer Chris Carter are developing another big-screen chiller based on their hit TV series. Plastic surgeons in California may soon be getting a little nip and tuck of their own from the state Legislature. In just six months, brokers from Julien J. Studley Inc. represented the buyer in the purchase of a Burbank office building, signed up a tenant for the entire building, and then negotiated its sale for a quick $4 million profit. NBC's gritty cop show "Homicide: Life on the Street" is going into cyberspace this week, possibly a harbinger of where prime-time programming is headed. Now that it appears likely a single charter reform measure will end up on the June ballot, proponents face the daunting task of selling the measure to voters. Frank Wilson, new president of the architectural and engineering firm Daniel, Mann, Johnson, & Mendenhall, says it is possible for L.A. to have a workable public transit system. GeoCities Chief Executive Tom Evans was one of the headliners last month at an industry networking event, where he described Los Angeles as "a good launching pad" for technology companies. Mercury General Corp. went through some tough times in 1998 and this year could get even stormier, though analysts generally remain bullish about the company's prospects. Washington Mutual Inc., suddenly L.A.'s largest financial institution with its recent string of acquisitions, is already breaking local tradition. Oh, the gooey glaze. Oh, the creamy chocolate coating. Oh, those yummy sprinkles. Crime may be down, but that fact seems to have escaped the notice of the public at large, which is spending record sums on security products and services. No matter how many salespeople you employ, you still have to be your company's best salesperson. Luckily, two veteran salespeople and two marketing consultants have shared their secrets in three new books. Michael Holmes has operated Chandler Studios for 10 years, putting on about five productions a year at the 33-seat playhouse. Sometimes, if the play gets critical mention, he can fill the house, but there have been times when no one shows up at all. The Shooting Gallery, an independent film company perhaps best known for "Sling Blade," was deluged with orders last week for a $17 baseball cap it's been selling online. Now that Michael Jordan has hung up his Nikes, television executives are anointing Shaquille O'Neal as basketball's biggest draw.